Perfect for office promotions, brand identification, trade shows or just a special occasion. Our in-house screen printing and embroidery departments enable us to provide prompt service for both large and small orders. Our full-service art department can create original art or clean up existing art for your team, company, or arts organization. South Carolina Embroidery uses state-of-the-art computerized embroidery machines, using direct embroidery, we are able to give your products the the look and feel of uniquely custom designed clothing. It is much easier to maintain the integrity of your logo. 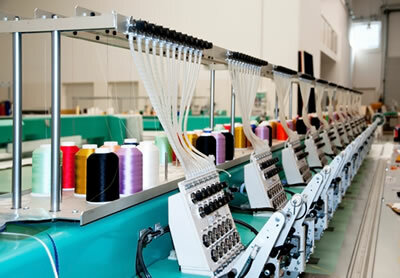 Plus, with using direct embroidery, it simplifies the reordering of your products.